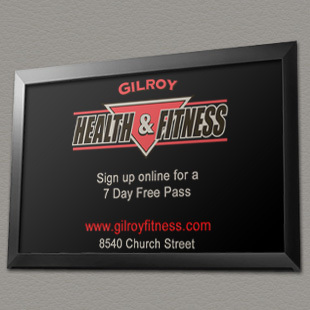 We are proud to welcome Gilroy Health and Fitness as our newest screen partner. Vie Fitness and other companies prove, that using our newest technology all of our advertisements are streamed from the internet and can be updated on their new digital billboard instantly. 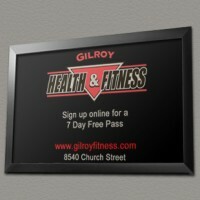 Located at 8540 Church Street in Gilroy, this huge facility has the most advanced equipment, state-of-the-art treadmills, stair steppers and spin bikes. They also have weight machines, free weights, swim, Aaptiv programs, racquetball, personal training, Zumba and more. Their most recent addition to the facility is the expansive Mixed Martial Arts Training Center, Antdawg’s UGH!